In this age of instant, there are some things that simply are not satisfactory instant. 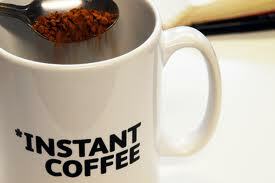 Instant coffee for instance. Really awful stuff. There is something about savoring a well-made cup of coffee that renders instant coffee completely unnecessary. We willingly wait in long lines for an over-priced, but delicious, cup of coffee. It’s worth the wait and the money. Value means more than just getting your money’s worth. It also means getting a great product in a comfortable environment that makes us feel better. An assessment of a healthcare practice also takes time. It will mean you have to spend some well-earned money, but at the end of the day it will make you feel better. “The evaluation or estimation of the nature, quality, or ability of someone or something” is the meaning of an assessment. An evaluation of the financial health operational efficiency of any practice is sometimes necessary to ensure things are as healthy as you hope they are. An assessment of a healthcare practice involves interviews with staff, extensive data analysis of accounts receivables and a comparison of your practices operations against best in class. This takes time…and expertise. Expertise in the specific specialty nuances that makes your practice unique. Like a great cup of coffee starts with the beans, so a really good assessment begins with a conversation about your practice goals and culture. The best plan to increase revenue has to be tailored to your practice culture. Otherwise, it simply won’t work. Coffee shops don’t just sell coffee. They sell atmosphere, wi-fi access, like people, and a non-rushed atmosphere to enjoy a coffee or tea while browsing the internet or chatting with friends. Did I mention the alternative, but familiar music in the background? The team you engage for your assessments should be professional, seasoned and attuned to your values and culture. They want to ensure your success and a great experience while tweaking your processes. Where do you find this great team? There’s a number at the top of the page along with an email address and on the other end is your answer. 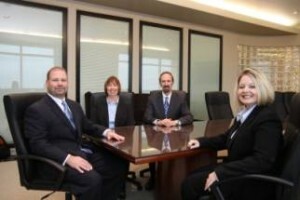 This team will spend the time and money to give you best in class expertise while being able to discuss your practice goals with a team that really knows the business and understands what makes your practice unique.